Newcomer Family Obituaries - Alan Paul Tinkcom 1957 - 2019 - Newcomer Cremations, Funerals & Receptions. Alan Paul Tinkcom passed away ath his home in Denver, Colorado on April 10, 2019 following a year long battle with Small Cell Lung Cancer. He was 62 years old. Alan was born on January 4, 1957 at Whiteman AFB in Missouri to Wilber "Bill" and Audrey Tinkcom. He was the youngest of three sons. His family moved around quite a lot while he was growing up due to his Dad's military career, but, in 1971 they moved to Houston, Texas after his Dad retired from the Air Force. He attended the High School for Visual and Performing Arts in Houston and joined the Navy in 1975. He served as a Bosuns Mate on the USS South Carolina for about a year and then won an All-Navy talent contest as a guitar player and was assigned to the Navy Band at the Great Lakes Naval Base in Illinois. He served two hitches in the Navy, then lived in Houston for a few years before joining the Coast Guard in 1984. He was assigned to Governors Island in New York City and after he got out in 1988, moved to Colorado where he and his brothers formed their own band "Triple Threat". He met his future wife, Linda, in 1990 and they were married in Georgetown, Colorado on August 2, 1994. They moved to Laramie, Wyoming in 1996 and spent five years there before returning to Denver in 2001. Alan is survived by his wife, Linda; his mother, Audrey, his brother, Wayne, stepsons Steven and Thomas Padilla; grandsons Soloman and Matthew Padilla and several much loved nieces, nephews, cousins, his Aunt Jane and too many wonderful friends to count. He was preceded in death by his father Wilber and his brother, Ken. He was loved by many and we will all miss him very much. "So do not fear, for I am with you; for I am your God. I will strengthen you and help you; I will uphold you with my righteous right hand." Add your memories to the guest book of Alan Tinkcom. All blessings, hugz & comfort to each of you. Wish we could be there for you in person, we live on the East Coast. 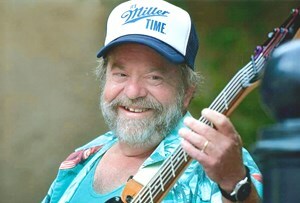 Al or "Tink" was his loving Navy Band nick name, energized many of us. His great positive attitude always hightened our mission performance. He & I spent many nights honing our musical skills at NSOM. Al's resilient ear made his playing superior and he had a kind and caring demeaner to accompany that. I will miss him largely ! So many good memories. Play one for me in heaven Al, I played a couple for you in church yesterday buddy :) You're a gem.